Bill Higgins threw a complete game in this march 1988 game for Clinch Valley College. He gave up just a single unearned run - in a 1-0 loss, according to The Highland Cavalier. It was a performance that drew praise from his coach Ray Spenilla, The Cavalier wrote. "He held one of the finest hitting teams in the nation to five hits and no earned runs," Spenilla told The Cavalier. "Bill can definitely be an asset this year." Higgins went on from Clinch Valley to play as a pro. However, he wasn't enough of an asset there to stick around. He played just a single season. Higgins' professional career began and ended in 1990, taken by the Phillies in the 36th round of the draft out of Clinch Valley College. At Clinch Valley, Higgins made the all-state team in 1989. From 1988 to 1990, Higgins had a 1.83 career ERA, the lowest career ERA at the school. His 1989 and 1990 ERAs of 1.69 and 1.54 are still the two best season ERAs in school history. He also went 24-6, still the most career wins. Eleven of those wins came in 1990. His 207 career strikeouts is good for second all-time. 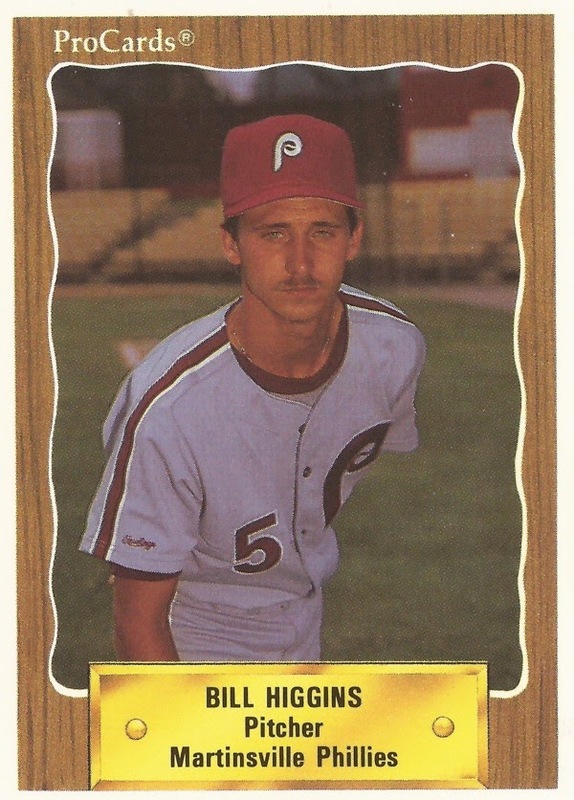 With the Phillies, Higgins was assigned to rookie Martinsville. He debuted June 22, giving up four hits in two innings against Burlington. Overall, Higgins got into 23 games for Martinsville, getting a 2.92 ERA. He picked up five wins and two saves. It was his only season as a pro.